Insurance Commissioner Mike Kreidler is considering additional legal action against NRA-branded Carry Guard program for advertising a potentially misleading insurance policy in Washington state. The policies issued through the Carry Guard program were underwritten by Illinois Union Insurance Co., a subsidiary of Chubb Ltd., through Lockton Affinity L.L.C., an affiliate of Lockton Cos. L.L.C. Kreidler’s new investigation of the NRA’s solicitation comes after the New York Department of Financial Services this week alerted insurance commissioners across the country. New York found that the NRA’s Carry Guard program unlawfully provided liability insurance to gun owners for acts of intentional wrongdoing. New York law prohibits insurance coverage for defense costs that result from a crime. New York fined the insurance company associated with the NRA $1.3 million and ordered an end to sales in the state. Kreidler’s investigation follows his order to the NRA in April to cease and desist selling four Carry Guard liability insurance products that were offered on the NRA’s website. The NRA solicited the policies without an insurance producer license, a violation of state law. The initial investigation resulted from a consumer complaint. If a review of current state insurance laws shows inadequate protections from these types of products, Kreidler said he would not hesitate to propose legislation to bolster protection for consumers. That could include a ban on the type of liability insurance the NRA is currently soliciting. 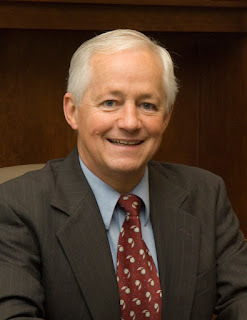 Kreidler said he would ask the Governor’s Office and the Office of the Attorney General to work with him in stopping potentially unfair trade practices. B.S. Call it what it is: a back door assault on the NRA.